Wilbury Home is your top destination for home furnishings that are high in quality but low in price. Our onlinehome furniture store is committed to providing every customer in the New York area with an extensive furniture selection that includes a wide variety of styles, colors, and materials. Ultimately, we believe everyone deserves a home filled with stylish and dependable home furnishings. We dedicate ourselves to bringing you the highest quality of customer service, knowledge, and assistance whenever you shop with our online furniture store. Since our business was founded, our top priority has been to help our customers find the perfect furniture collection for their home. If you have questions at any time while browsing our online furniture catalog, do not hesitate to email us at info@wilburyhome.comor give us a callat (408) 419-1613. We maintain a staff of skilled furniture professionals that are always happy to help. 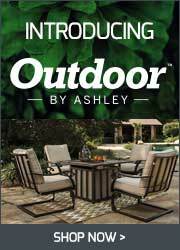 We stand by all our products 100% because we only sell furniture that comes from reliable brand names, such asAshley furniture,Millennium, andBenchcraft. When you shop with us, you can rest easy and know that your home furnishings will last for years to come. We have a fantastic selection of up-to-date living room furniture options. We provide an array of sofa sets, sectionals, and even reclining sofas. We also have living room accent furniture, such as occasional tables and ottomans. To furnish your bedroom, we have a variety of fashionable and sturdy beds available in five sizes. You can keep your bedroom nice and organized with our storage furniture options, which include dressers, nightstands, accents chests, and more. We have furniture offerings for basically every room in your home. Whether you’re looking for a dining room set or home office furniture, you can count on us to provide everything you need. You can shop with confidence at Wilbury Homebecause we guarantee excellent quality, prices, and services. It’s that simple.